Rockhill Elementary was one of 66 schools to recently be listed as a “High Progress School of Honor for 2018” on the Ohio Department of Education’s website. The Schools of Honor program through the Ohio Board of Education works to recognize schools who have sustained high achievement and substantial progress while continuing to serve economically disadvantaged students. 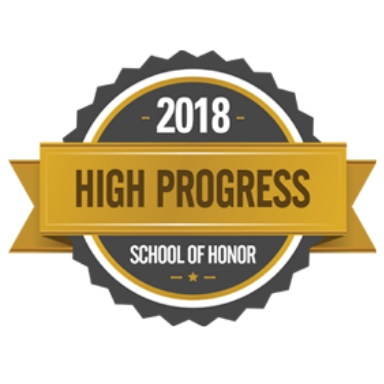 To be named a High Progress School of Honor, the school must be a Title One recipient or Title One-eligible school and a student body 40 percent or more economically disadvantaged students. The schools must have shown an increase in their combined math and reading proficiency rates for the last five years and meet the 90th percentile for statewide proficiency gains.